During her July apparition at Fatima, Our Lady said to Lucia, “I shall come to ask... that on the First Saturday of every month, Communions of reparation be made in atonement for the sins of the world.” Although she made no further mention of this devotion at Fatima, on December 10, 1925, our Blessed Mother again appeared to Lucia at Pentevedra, Spain, where the seer had been sent to the Dorothean Sisters to learn to read and write. It was there Our Lady completed her request for the Five First Saturdays and gave her great promise. The elements of this devotion, therefore, consist in the following four points, all of which must be offered in reparation to the Immaculate Heart of Mary. One should make this intention before carrying out Our Lady’s requests. A renewal of the actual intention at the time is best; however, if such an intention is made now, it will fulfill the requirements if, for instance, the actual intention is forgotten at the time of confession. Confession: This confession can be made before the First Saturday or afterward, provided that Holy Communion be received in the state of grace. In 1926, Christ in a vision explained to Lucia that this confession could be made a week before or even more, and that it should be offered in reparation. Holy Communion: Before receiving Holy Communion, it is likewise necessary to offer it in reparation to Our Lady. Our Lord told Lucia in 1930, “This Communion will be accepted on the following Sunday for just reasons, if my priests allow it so.” So if work or school, sickness, or another just reason prevents the Communion on a First Saturday, with this permission it may be received the following Sunday. If Communion is transferred, any or all of the other acts of the devotion may also be performed on Sunday if the person so desires. Rosary: The Rosary is a vocal prayer said while meditating upon the mysteries of Our Lord’s life and Passion and Our Lady’s life. 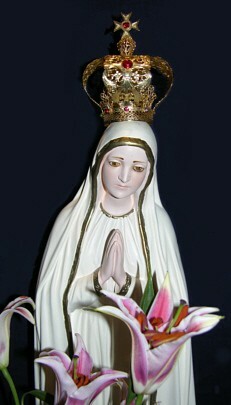 To comply with the request of our Blessed Mother, it must be offered in reparation and said properly while meditating. 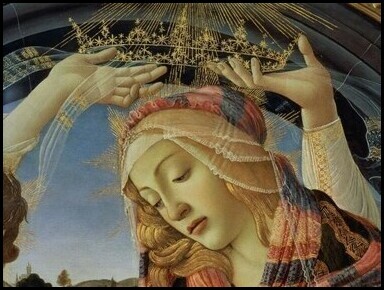 To those who faithfully follow Our Lady’s requests for the Five First Saturdays, she has made a wonderful promise which she, as Mediatrix of All Graces, will certainly fulfill: “I promise to assist at the hour of death with the graces necessary for salvation.” This means that our Blessed Mother will be present at the hour of death with the actual grace of final perseverance, (which after the gift/grace of Faith), is the most important grace. After completing the Five First Saturdays, one may continue the devotion simply to console the Immaculate Heart of Our Lady. A tender love of our Blessed Mother will lead one to do all he can to make reparation for the sins which pierce her Immaculate Heart. Let us remember, too, that although Our Lady made this promise to those who would observe five such First Saturdays in succession, in her July apparition she asked simply that Communions of reparation be made on every First Saturday to atone for the sins of the world. "The Seven Prayers of the Children of Fatima"